We Want YOU (To Be Social)! You're here » Home » Social Media Marketing » We Want YOU (To Be Social)! You already know that social media has no shortage of disciples, but there may be one fan you already know – good ‘ol Uncle Sam! We’re pretty sure there wasn’t much Tweeting going on when Washington crossed the Delaware, but these days, more and more congressmen and women are using social means to reach their constituents (and potential voters). In fact, a recent study by the Congressional Management Foundation, found that members of congress were picking up the use of social media tools faster than they did fax or even email. Not to mention that 72 percent of congressional staffers agree that social media provides a way to reach entirely new audiences. And isn’t new audiences (and customers) what we all have in mind? 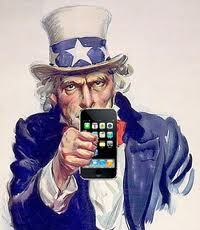 Once again, it can’t hurt to follow old Uncle Sam. Headline: We Want YOU (To Be Social)!